This wonderful infographic depicts the wide range of 21st Century learning opportunities — activities that support collaboration — all possible when teachers use the various components of Google Drive with students — inside or outside of their classrooms. What is cool about these activities is how they can be used in tandem with almost any academic subject. The original info graphic has live links, however this image does not. Check out a more detailed explanation at the Teach Thought blog. The infographic was designed with Glogster. When our 21st Century learners look for images, the first inclination is to go to Google Images. Unfortunately that is where most people stop once they have identified a useful image at Google. Much of the time students do not proceed to the original source or find more than a web address (often the wrong one) for attribution. We can show them better ways — dozens of better ways, actually. Below are links to all sorts of sites that feature images that students and teachers can use as a part of instructional activities or project presentations. Some of these sites require specific types of attribution (giving credit to the site, artist, photographer, etc. ), and usually the instructions are clear, so users should pay attention to the attribution requirements. Many of the image collections below link to or at least list other image sites. Note that on government sites (.gov) most of the images are in the public domain. Teachers will also want to read Learning About Creative Commons (and perhaps share with students) — a PDF that describes the alternative to traditional copyright procedures. Find more information about the millions of images at the United States Library of Congress (LOC). The EdTech Teacher website features an excellent post, Finding Public Domain Images for Multimedia Projects. Fair Use allows copyrighted material to be used for teaching, research, or scholarship. Read more about fair use at the Columbia University Copyright Advisory Office or read/download A Quick Guide to Fair Use and School Projects on the Power to Learn/Cablevision site. Some of the sites below include stock photos. Check out the Mindset book. Want to learn a bit about the students who are entering college right now and infer a bit about digital kids at other ages? Check out this year’s Beloit College Mindset list for the class of 2017. Started in 1998 by two faculty members at Beloit, the list was originally created as a way for faculty and staff at the college to learn more about how easy it is for adults talk about things that they take for granted but that their students don’t know. The website includes past years’ lists. As teachers we gain far more credibility with digital-age children when we understand that many of the things we refer to are not a part of their 21st Century mindset, and when we make an effort to understand the context of their young lives. 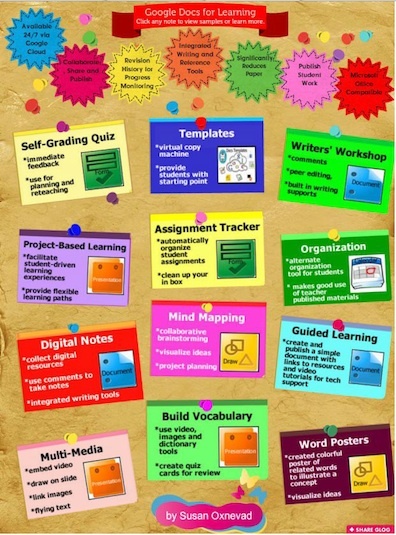 Have you thought about blogging with students? 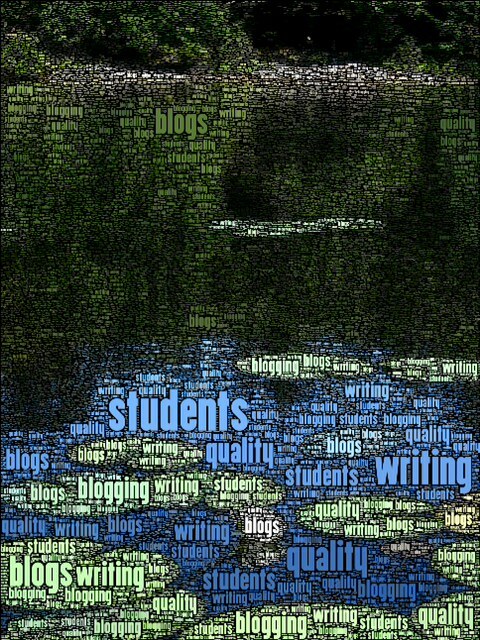 Image my surprise the first time I blogged with students — within a week or two the quality of their writing improved. The students responded to teacher posts on a variety of topics, with mostly spontaneous, but well thought-through contributions. That was when I understood for the first time that when students write on a blog for an audience that offers prompt feedback, they learn about the topic and also about collaboration and digital citizenship. Determine what topics do you want to appear on your blog. Is it going to focus on one curriculum unit, a subject strand, or will it be a class project for the year? Will the teacher be the only one who works with students on the blog or will other teachers who teach other subjects also contribute and collaborate. 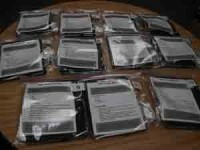 When we started blogging with third graders, we discovered, after the first few months of blogging, that the students wanted to originate some of the posts. Choosing a blogging site can be tricky. If a school runs a course web system, it may come with a blogging component that is already integrated into the online class system. Here at school, our course management system, MyGDS, includes a WordPress blog option, though it works best for older students. For educators and their students, part of teaching and learning in today’s world is knowing how to present information. To discover a comprehensive list of media creation and editing tools, look no further and check out Software Tools I Like for Multimedia Production by Barbara Schroeder, Ed,D., an associate professor in the Department of Educational Technology at Boise State University. It’s an amazing blog post with links to all sorts of multimedia tools that can help educators and their students create good-looking presentations. I discovered a new tool — Screenr a web-based screen casting site that I intend to explore. Most importantly most of Schroeder’s recommendations are easy to master, thereby enabling our 21st Century learners to concentrate on the topics and the content they are studying rather than on the “how-to’s” of presenting. Check out Ten of the Best Virtual Field Trips at e-School News. Learners can now set off on explorations and connect with information from sites all over the world. Virtual field trips can transform the way students learn. Options in the article range from factory tours to museum exhibits (the Louvre) to data gathering from a real research projects to a NASA exploration of the planet Mars. Dozens more virtual museum tours are available at MuseumLink. One interesting suggestion is the Google Lit Trips project where teachers can access free, downloadable files that mark the journeys of book characters. The Lit Trips site offers a huge number of books on a variety of levels and uses the resources of Google Earth to illustrate and follow the events in a book, making literature study three-dimensional. Also visit Google Lit Trips for Young Readers.